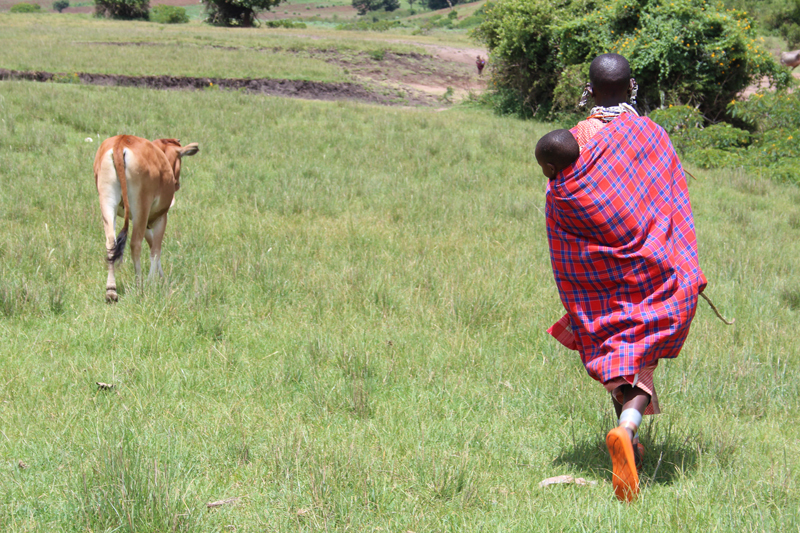 It is a rather cold day in the mountainous Enguserosambu village in Arusha, Northern Tanzania. 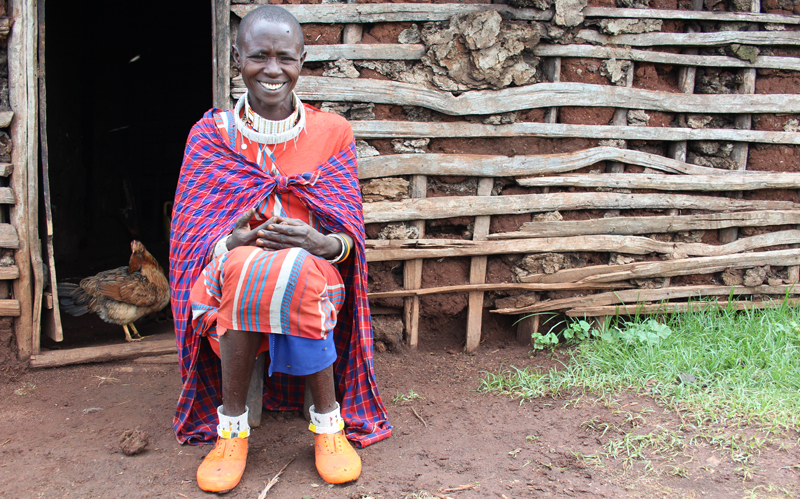 Maasai women, all dressed up in their traditional colorful clothes, are waiting, some in excitement, some in disbelief. It is heifer distribution day — attended by government officials and members of four villages, from which more than 100 women from poor families are set to benefit from the Oxfm-supported heifers project. 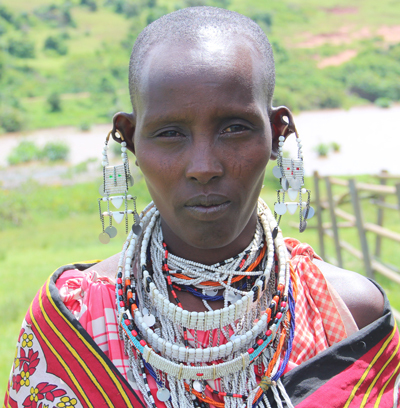 Not only are they assets, heifers provide nutritious products for a family to sell, including milk, providing an economic support system to women in need. Nashuru Tagei (30) is one of the recipients. Her husband left her when she was 2 months pregnant. “I was confused, did not know what to do,” she says. As a breadwinner for her family of four she works as a labourer doing part-time farming and sometimes fetching water and charging per bucket. “Receiving a heifer is my definition of happiness,” she says. “I hope to sell milk and use the money to pay for my children’s school fees.” Nashuru is also excited that the family will use some of the milk and live a healthy life. 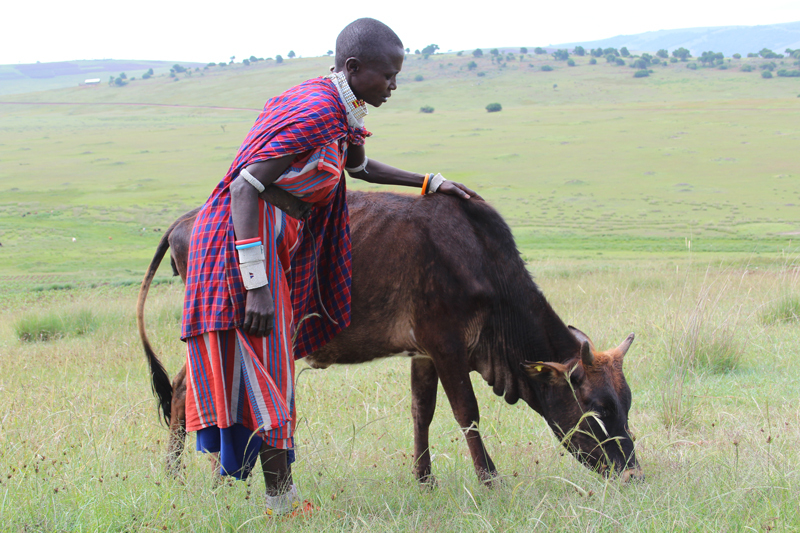 Oxfam has been working with a local partner PALISEP to distribute heifers to some of the poorest women in Ngorongoro district in Northern Tanzania since April 2014. 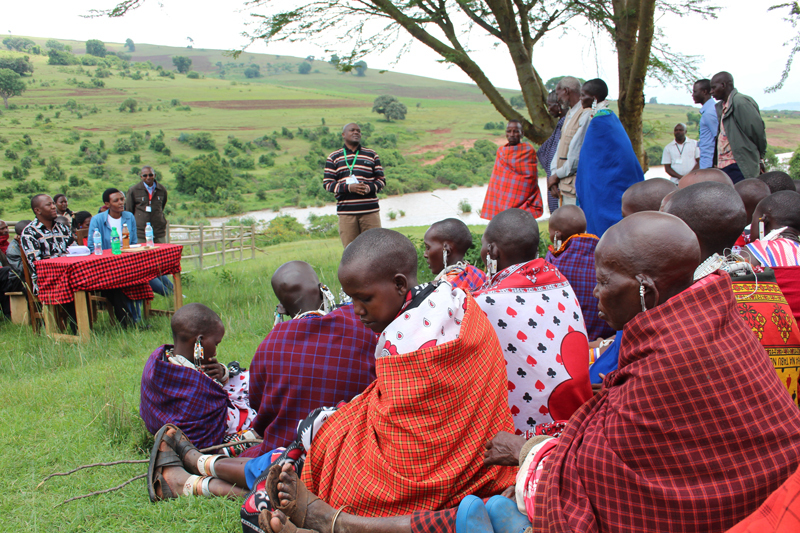 Women are also trained on livestock development and value chain analysis. 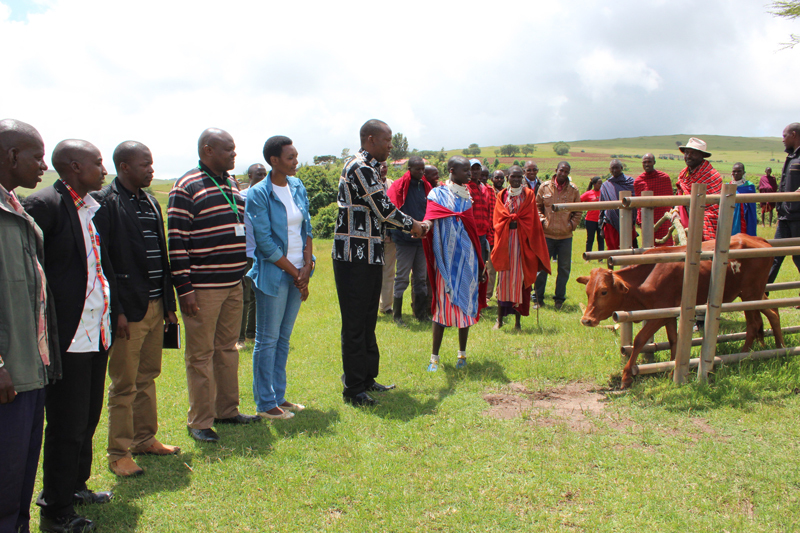 As part of the project, the first calf produced per heifer is passed on to another poor woman, thus benefiting even more people in the community. Nosiruayi Karia (34), a mother of four, is one of the early recipients. She recalls that when she got married her husband owned 16 cows; he later sold all of them and left. “I became so poor, I had to work really hard and sometimes walk long distances asking for contributions to raise money for my children’s school fees”. 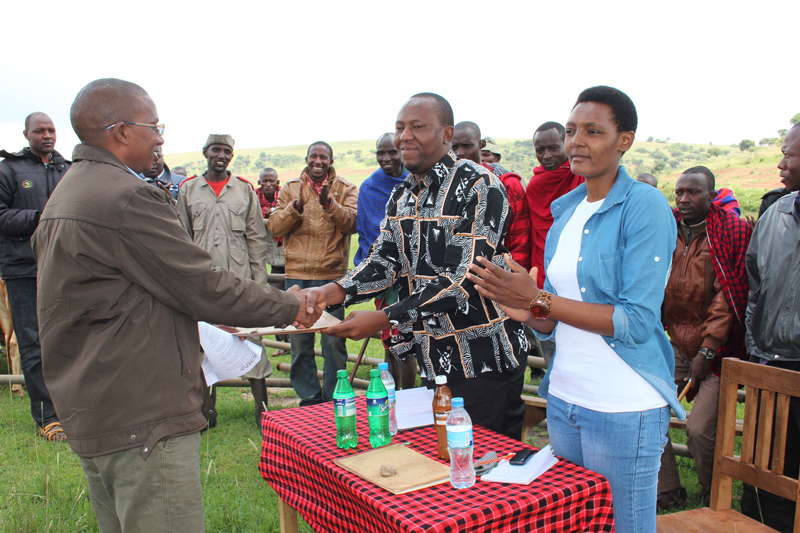 When Nosiruayi received her heifer in 2014 she got so emotional. “I cried because I was so happy to finally own something,” she recalls. Her cow has now had its first calf. She is excited that very soon her family will be able to get surplus milk for sale. “We now drink tea with milk. Milk is nutritious,” she laughs.